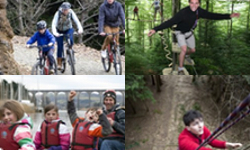 « Tree Surfers Junior – its first birthday! Nothing beats canoeing the River Tamar for out and out fun. 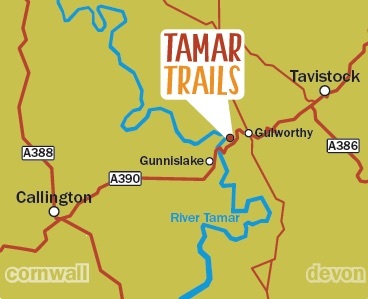 There is no finer way to see the Tamar Valley than from a canoe, serenely paddling along the border of Devon and Cornwall, passing unspoilt woodland and meadows and glimpsing rarely trodden paths. You’re guaranteed to come away buzzing, an adrenaline rush not just from completing a brilliant adventure, but from discovering a magical, hidden world. One where birds swoop gracefully overhead or stand, poised regally on the riverbank. Where you gain a different perspective on both the river and the land, and where you’re challenged with a whole new set of skills. The River Tamar is possibly one of the most beautiful in the whole of England, a designated Area of Outstanding Natural Beauty. It’s also one of the best rivers in the UK for fishing salmon and sea trout, and if you’re lucky you may see a leaping fish or two. A paddle up river will take you past old chimneys, relics of Cornwall and West Devon’s mining heritage, peaceful quays that were once a lifeline for the area’s busy market gardening industry and private moorings for pretty riverside dwellings. Canoe Tamar run regular trips throughout the summer of around two hours with a picnic stop. These tours are undertaken in traditional style Canadian canoes accompanied by qualified instructors, providing a safe way to tackle the river and learn more about the area’s rich heritage. NB. Open canoes or ‘Canadian’ shouldn’t be confused with kayaks, which have the closed cockpit or deck. Most are made from plastic and can be paddled by up to three people. You use a single-bladed paddle. It really is the most tranquil way to explore the river. Starting from Cotehele Quay, the National Trust property on the Cornish side of the Tamar, the tours head up river with the tide to the little town of Calstock, and beyond into the sleepy tidal reaches. Depending on the energy and enthusiasm of the group, you can expect to get as far as the ‘Pirate Ship’, perfect for recreating your own Swallows and Amazons style high adventure. As well as a lovely way to get close to nature, a canoe trip is incredibly inclusive. Anyone from three years upwards can join, with no upper age limit. And dogs are welcome too. 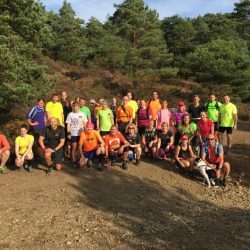 You don’t need any previous experience and it suits all fitness levels. Great for the entire family! Check out the canoe trip timetable here. 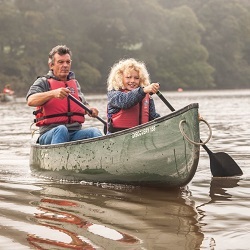 This entry was posted in News, Uncategorized and tagged canoe cornwall, canoe devon, canoe the tamar, Canoeing, river tamar. Bookmark the permalink. Post a comment or leave a trackback: Trackback URL.